Beautiful upstairs, 1 bedroom studio condo in Las Palmas. Just minutes away from the lake (additional small HOA fee), this condo is absolutely beautiful with lots of sunlight. The living area is spacious with updated kitchen with pantry and including wine refrigerator (new) plus including new dishwasher, refrigerator, range and range exhaust fan, washer and dryer are not new but included. NOTE; completely furnished which is included in sale price!!! also there is no one above or below this unit only next door. The condo is in excellent condition and is a must see. Excellent starter home or excellent investment opportunity. 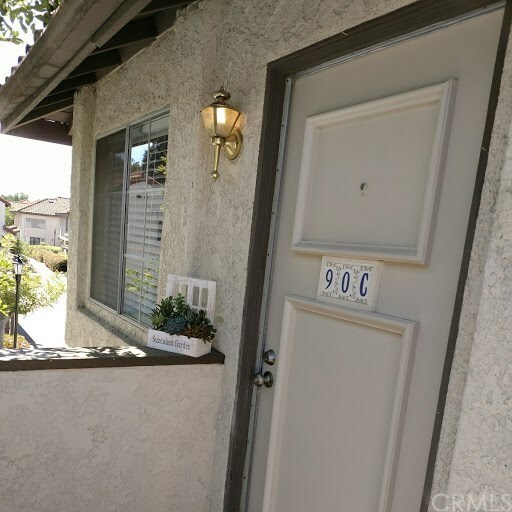 Hurry to get your hands on this great opportunity in South Orange County it wonât last long. Garage is in building next door unit 90 which is locked, listing agent can open upon request. The Las Palmas Community Amenities include 2 Pools, 2 Spas and a Clubhouse. Monthly HOA Fees include Water and Trash service. Close to Shopping, Dining, S. V. U. S. D. Schools, Parks, Freeways. FHA Approved, No Mello Roos. Directions: From Los Alisos turn on Vallejo then turn right on Las Flores followed by left of La Cresenta then left on La Real followed by a right of La Mar unit is first building on your left, end unit up stairs. Selling Office: Keller Williams Coastal Prop.